The Southern Cameroons Interim Government has warned Ambazonians in the Diaspora that the humanitarian crisis in the country, already the worst in Africa, will deteriorate as 2019 approaches, more than a year after the French Cameroun President-Dictator, launched an intense military campaign of helicopter strikes and ground attacks which are still ongoing. Acting President Samuel Sako Ikome told Cameroon Intelligence Report that the food and medical assistance provided to Southern Cameroons refugees both in French Cameroun and in the Federal Republic of Nigeria by international organizations including the UN has been insignificant. 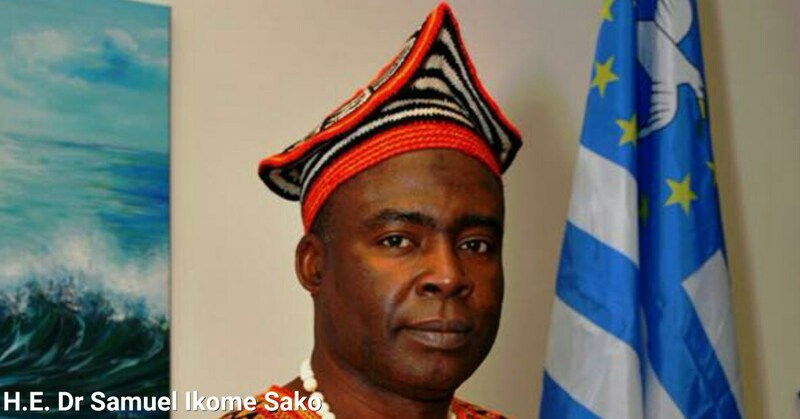 The Ambazonian leader wondered aloud why the UN was maintaining a kind of silence of the lamb as regards to the genocide going on in Southern Cameroons particularly the massacres that took place in Nkambe and Bali. French Cameroun troops deployed to Southern Cameroons to crush the Ambazonia revolution and to reinstall Francophone dominance in the territory have killed hundreds of innocent Southern Cameroons civilians. The aggression initially consisted of a scotch the earth policy, was later coupled with numerous curfews and destruction of towns and villages by Cameroon government forces. In his ill-disguised attempts at deceiving the international community, President-Dictator Paul Biya recently signed a decree creating a National Disarmament, Demobilization and Reintegration Committee (NDDRC) for organizing, supervising and managing the disarmament, demobilization and reintegration of ex-fighters of Boko Haram and armed groups in Southern Cameroons willing to respond favourably to his so-called peace appeal by laying down their arms. The 85 year old also appointed a French Cameroun surrogate, former governor Fai Yengo Francis to head the commission. In response, Ambazonia Self-Defence and Restoration Forces Council (ASC/RF), the command and control system prosecuting the war against French Cameroun rejected the so-called disarmament committee. Since the onset of the President Biya imposed war, the Ambazonian Restoration Forces with support from the Southern Cameroons Diaspora, has been defending the Southern Cameroons nation against the brutal aggression. The war is estimated to have left some 4000 Southern Cameroonians dead and more than 437,000 caught in the crossfire. Hundreds of Ambazonians have fled their homes, according to UN data; many now trapped in the bush are now facing starvation. More than a year into the war, Biya and French Cameroun have achieved neither of its objectives. Yaoundé wrongfully thought at the start of the invasion that the war would take no more than a couple of weeks. 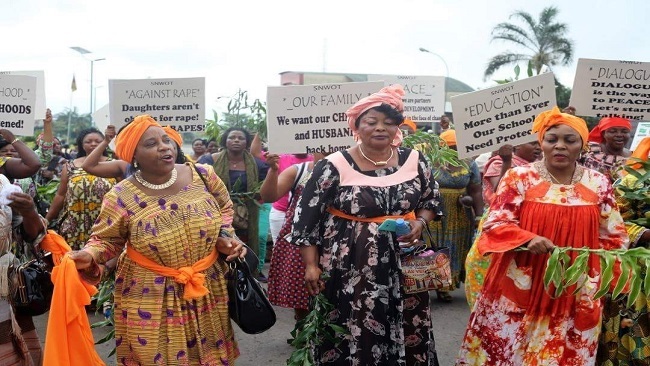 The situation has worsened in French Cameroun in recent days due to a broad economic collapse following a CAF decision to strip the Biya regime of the right to stage the 2019 African Nations Cup finals. CAF confirmed the unanimous decision after a meeting of its executive committee in Accra, Ghana. In its recent report on Cameroon’s public expenditure management, the World Bank revealed that the institutional mechanisms to implement the program-budget approach launched in 2013 is still far from achieving expected results. According to the report, since 2013, the Parliament has approved each year a program-centered 3-year budget for all departments. Each department develops its own programs (about 3) and sets objectives and indicators (two to three per program). However, World Bank said, most indicators are not suitable or operational. 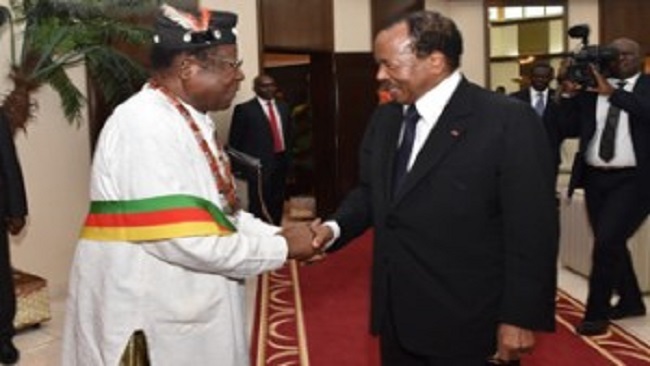 Elsewhere in his comments to Cameroon Intelligence Report, Acting President Sako Ikome said the Interim Government was in an urgent need of financial donations to help the resistance and suffering Southern Cameroonians in 2019.